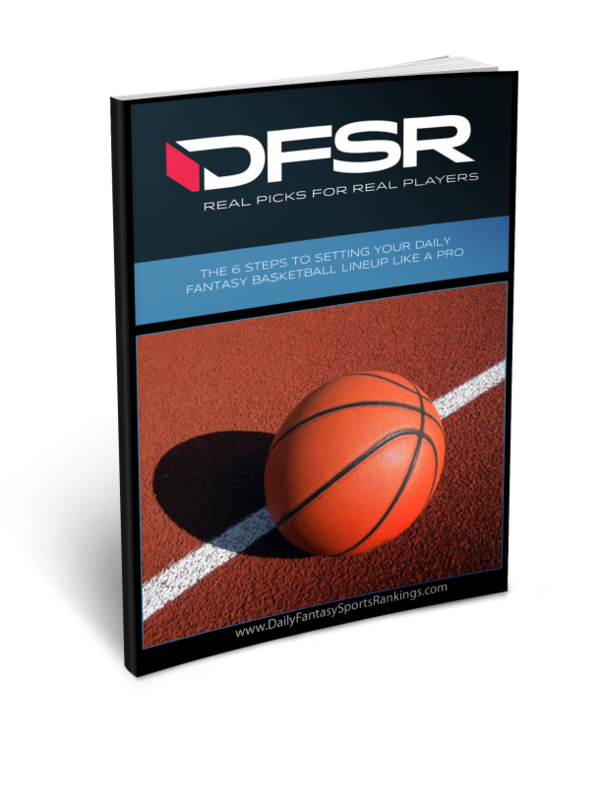 DFSR’s tools help you set optimal, winning lineups quickly and accurately. of course... on a given night, there are typically 15-20 players that are a clear cut above the other options. To really dig deeper, and have those huge scores? You’re going to need more. Save $60 by signing up for the next 6 months! Compare our plans and find what’s best for you! TRY IT FREE FOR 7 DAYS! Save $60 by signing up for 6 months! Note: There will be a .50 cent hold placed on your credit card so we can verify it's a real card. We refund this automatically, and it will be returned as quickly as your bank will refund it. By signing up for membership to our site, you are agreeing to our Terms and Conditions. These algorithms have been painstakingly developed and tweaked over the course of three years, and we're willing to let you try them for free for three days. 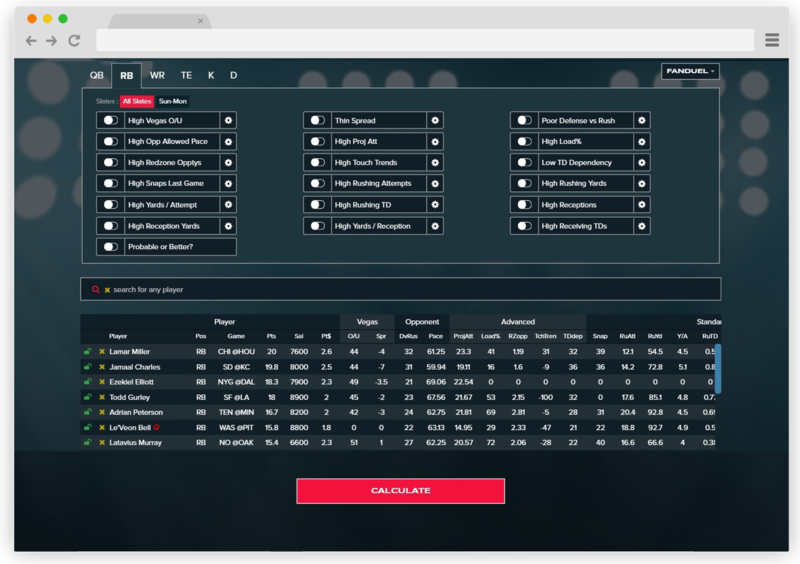 And while seasons overlap, you'll get access to the NBA and NFL tools for the same price! After that? It's just $15 a month. For $.50 a day, what do you have to lose? Get your free 3-day free trial now! Do you want updates on the tools, and picks to your inbox each day as well? Start your free trial of DFSR Pro. Start your DFSR Pro trial!